SafariHistoryView is a new utility for Windows that reads and parses the history file of Safari Web browser (history.plist) and displays the browsing history in a simple table. Every browsing history line includes the following information: URL, Web Page Title, Last Visit Time, Visit Count, Redirected To URL, and Record Index. Posted by NirSoft on October 27, 2011 at 3:39 am under Utilities Update. 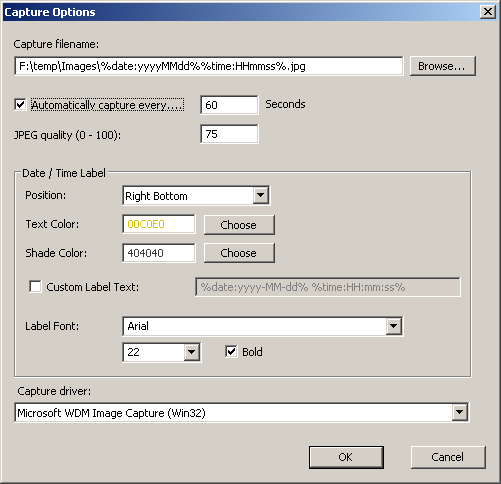 WebCamImageSave also adds a label with the date/time that the image was capture into the image, by using the font, color, and date/time format that you choose. You can also capture a single camera image from command-line, without displaying any user interface. You can download the WebCamImageSave utility from this Web page. Posted by NirSoft on October 16, 2011 at 8:20 am under Utilities Update. WebCookiesSniffer is a new packet sniffer utility that captures all Web site cookies sent between the Web browser and the Web server and displays them in a simple cookies table. The upper pane of WebCookiesSniffer displays the cookie string and the Web site/host name that sent or received this cookie. When selecting a cookie string in the upper pane, WebCookiesSniffer parses the cookie string and displays the cookies as name-value format in the lower pane. You can download this new cookies viewer utility from this Web page. Posted by NirSoft on October 3, 2011 at 4:05 am under Utilities Update.